Creating charmed bracelet sets are fun and result in a versatile look - wear just one bracelet at a time or mix and match for different looks. 4mm Czech glass beads are the perfect size for creating this look. 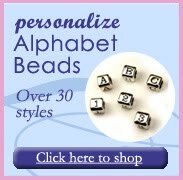 4mm beads can be worn as a single strand but can be layered without too much bulk or weight. If you need help with choosing colors, you have many options depending on your personality: a combination of neutrals, monochromatic mix (pick your favorite color), blacks (matches almost anything and looks good with silver or gold). Our example features two neutral tones with a pop of color. 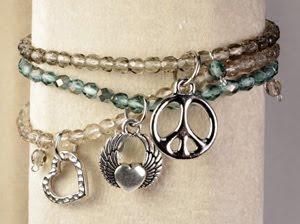 Adorn each bracelet with a different charm or wire wrapped bead dangles. 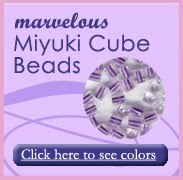 Just Getting Started with Beads? 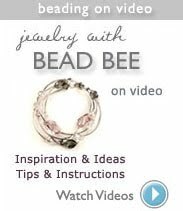 How to Create Long Necklaces Using Seed Beads.